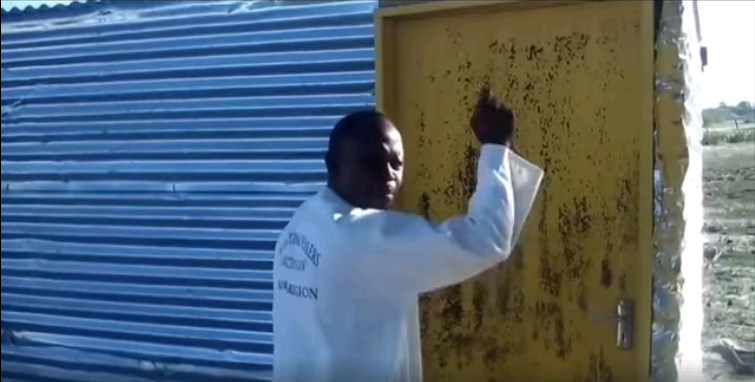 Video: Dr. Nyambe in front of his consulting room demonstrating what the revivalist preacher was allegedly doing and saying. A drawn-out feud between a revivalist preacher and a traditional healer, which in the past came to physical violence in dusty village streets, made the jump into the 21st century where blows are now being traded in the sterile environment of cyber space. The two neighbours – pastor Paulus Timoteus and Dr. Nyambe – , both residents of the Onawa yaKillian Village in the Oshana Region, have been trading accusations since 2013. They were even involved in a physical fight that led to the arrest of Nyambe on charges of common assault. The feud has now moved to a new platform, Facebook, with the revivalist preacher claiming victory after going through an unprecedented ordeal, victimized, assaulted and detained because of “the undiluted gospel” he was preaching. But Nyambe shot back in an interview with Informanté saying that the feud is not about the gospel but rather about “blatant provocation” by Paulus. “I have nothing against anyone preaching the gospel because I am a Christian myself,” he said. Paulus claimed in a newspaper report six years ago that Nyambe provoked him by sending an evil spirit to torment him and deprive him of sleep. However, Nyambe said that the conflict started when Paulus started shouting “fire, fire” while circling Nyambe’s traditional homestead or standing in front of Nyambe’s consulting room, situated some 100 metres from the homestead. He said that “this provocation” was taking place almost every morning between 02:00 and 05:00. “I reported him to the police several times. He was reprimanded, but he continued his provocation until one day, my brother and I decided to physically remove him. 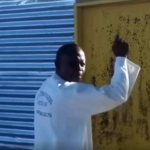 After a brief fist fight he ran away and opened a case of common assault at the Ongwediva Police Station. We were arrested, spent the weekend behind bars but on our first court appearance were granted bail of N$800 each. After several postponements the case was dismissed due to lack of evidence and I was granted a protection order, indicting Paulus never to come within 500 metres from my house,” said Nyambe. In a police affidavit seen by Informanté, Paulus stated that he was attacked by Nyambe and a companion without provocation. Although the criminal case was dismissed, Paulus was gratified by the mere fact that Nyambe appeared in court. “I enjoyed seeing Nyambe standing in the dock,” said Paulus. But Nyambe is also claiming victory by pointing to the fact that Paulus has moved out of the village and he is now practicing traditional medicine freely without being disturbed by the revivalist preacher.